This Industrial interior metal dining chair is made from sheet steel and coated with either a clear epoxy varnish or powder-coated finish. 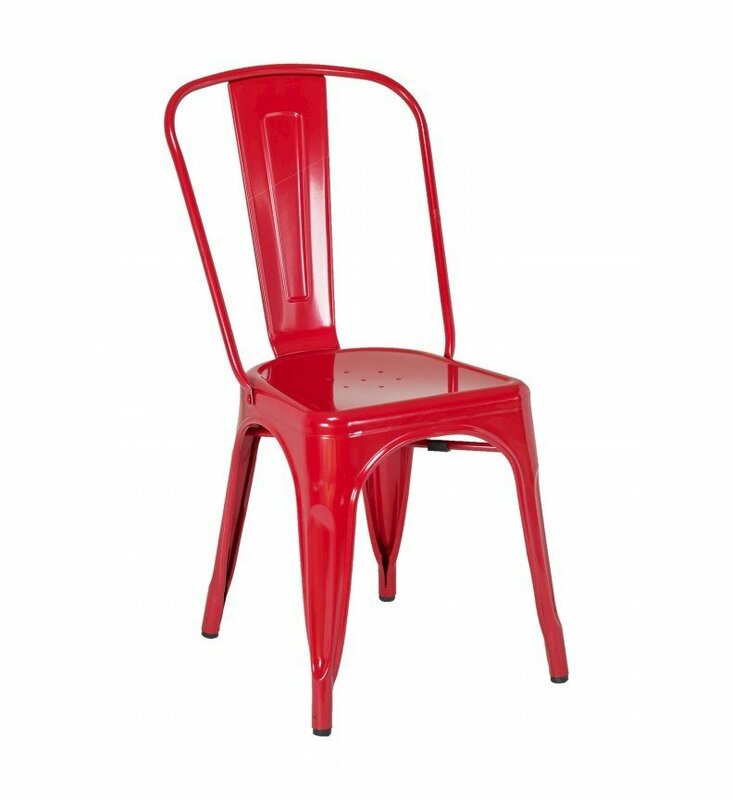 Featuring an industrial restaurant dining chair design with a comfortable backrest that will have your patrons coming back routinely. 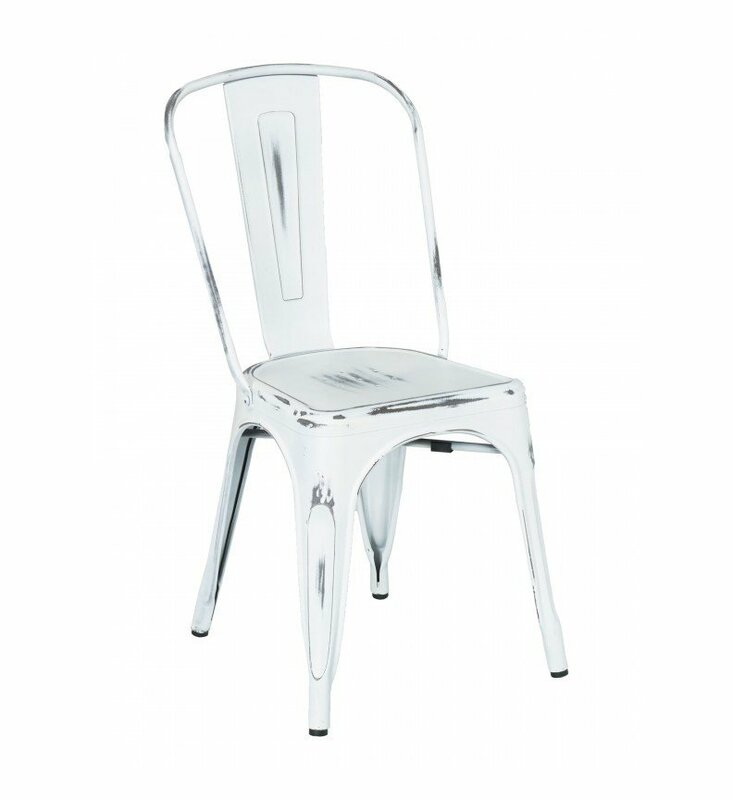 The frame is stackable for easy storage and relocation. 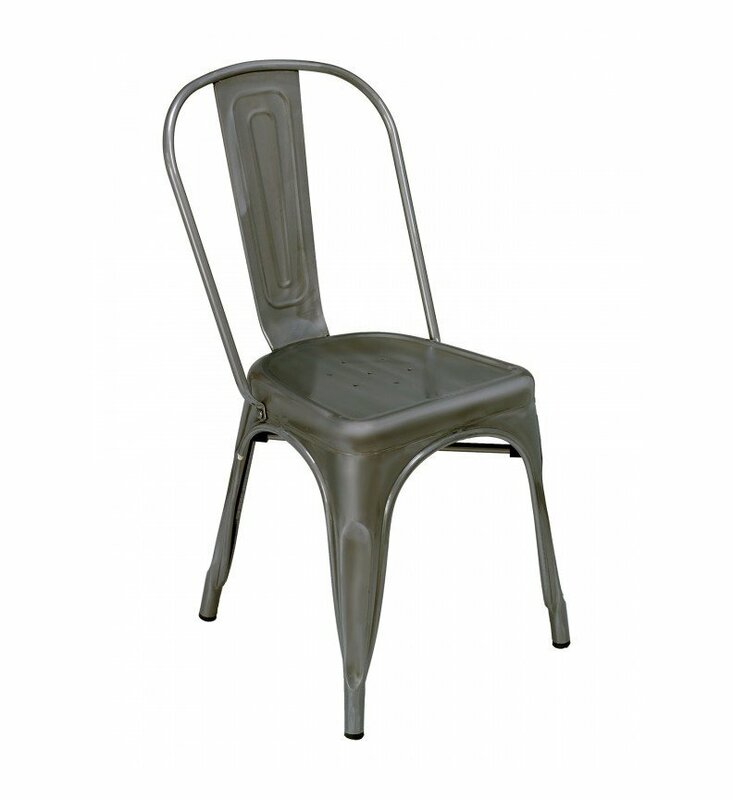 Includes rubber floor glides to protect the floor from damage. 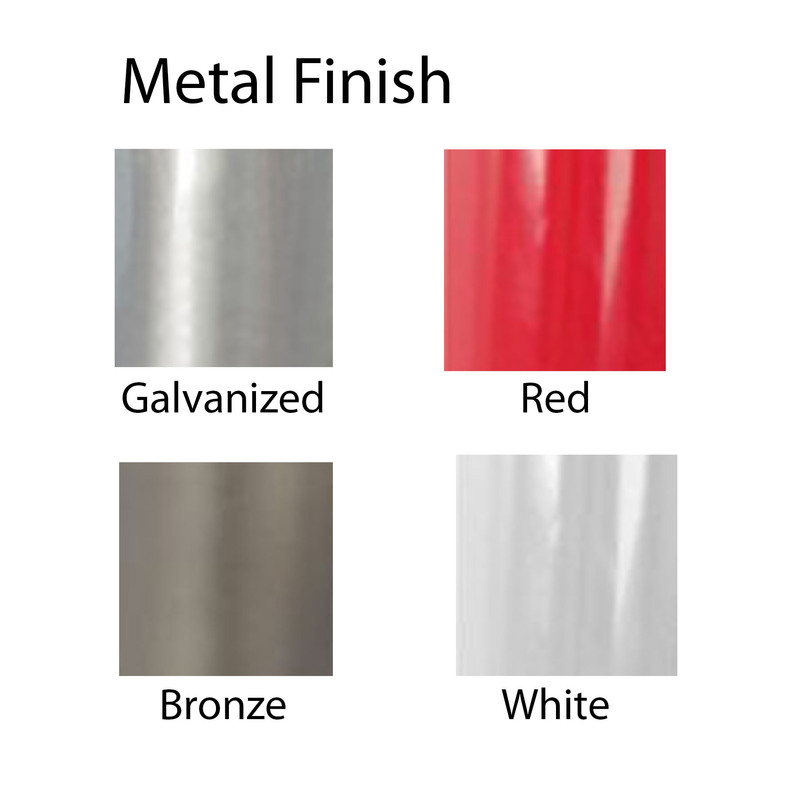 Choose between the bronze, red, white or galvanized frame colors to enhance the style of your contemporary bistro, cafe, or diner. 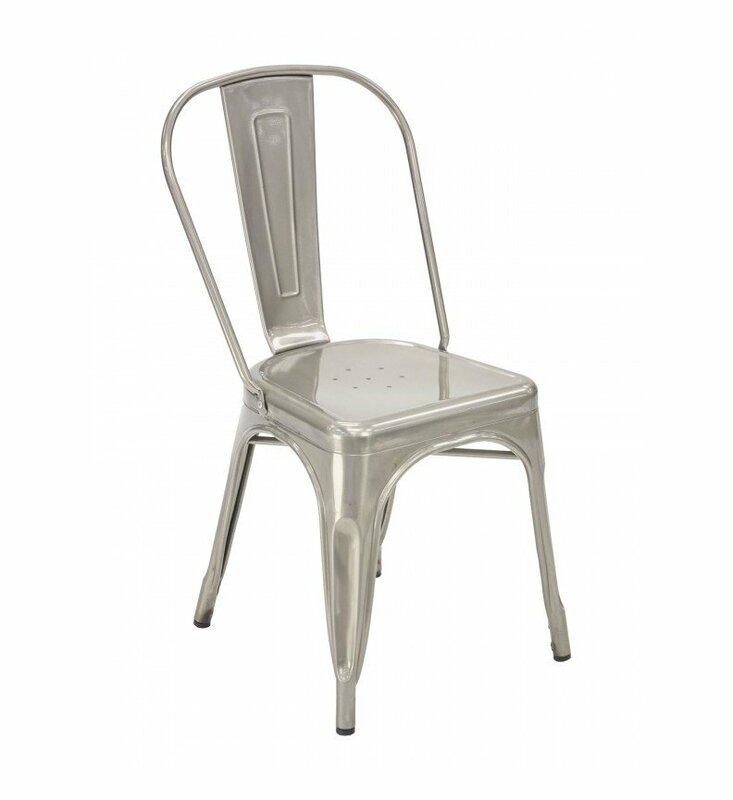 Our industrial metal restaurant dining chairs are built to last and come with a 2-year commercial warranty. • Dimension: W 14" x D 13.5" x H 34"